Polaris was set up by journalist brothers Ben and Sam Pinnington in 2011 to make a positive difference to our clients and our community. Creating Polaris and working closely with our clients helping them grow is a way of life to us not a job or a way to make money. We have learned that putting clients first is the way to create a sustainable business. We continue to be inspired by entrepreneurs like Richard Branson who advise to dream by day not by night. With this positive attitude in mind we are determined to follow an original entrepreneurial path adapting, innovating and learning to better serve our clients and enrich our work and life. This is reflected in how we have travelled the world exporting growing Polaris overseas and expanding into digital publishing. Our method of working, which inspired us to set up Polaris in the first place, remains the same – we offer clients commitment, dedication and passion. We only succeed if the campaigns deliver tangible benefits – profile, recognition, leads, introductions, protection in a crisis and fundamentally chemistry between us and clients. By delivering over years we have been able to consistently win and retain business understanding our clients’ objectives. At heart Polaris is a boutique business looking to work with a select group of clients with shared values and outlook. That is when our skills, specialisms and contacts book can make a genuine difference. A number of our clients have been retained since we first started, or are on long term campaigns, which reflects the strength of our approach to work as a part of our client’s teams. We have had many highlights over the years please visit our case study section to read about our track record. Polaris Media Management Ltd is a family run PR and digital publishing firm. We are based in the Port of Liverpool City Region and Manchester two of Britain’s biggest industrial cities. Our core areas of specialism are maritime, engineering, construction, industry, private business and enterprise, exports and heritage. The company is run by brothers Ben and Sam Pinnington supported by a team of 11 staff in full-time and consultant positions. Our writers are trained and qualified with the National Council for the Training of Journalists (NCTJ) or are specialists in their field. We are members of the Chartered Institute of Public Relations (CiPR) and bound by its code of conduct. In each year of trading Polaris has been profitable and we have reinvested back into the company growing in the UK and overseas. 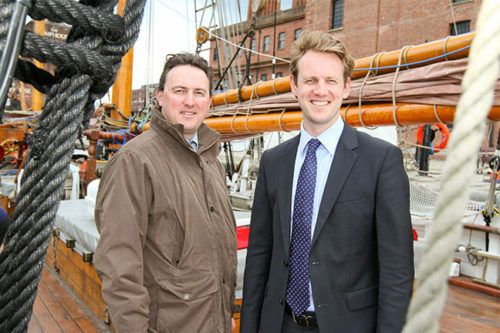 In our core territory of the UK we are members of Liverpool, Manchester and Wirral Chambers of Commerce as well as Professional Liverpool, TiE North, Mersey Maritime and the Society of Maritime Industries in London, where we sit on the maritime equipment committee. Our overseas memberships include Illinois Chamber of Commerce, the British Business Forum Oman and the Anglo Omani Society. We further have contacts and representatives on the ground in Delhi, India, Chicago, USA and Muscat, Oman.